Take a look below to find the right opportunities for your family and friends. 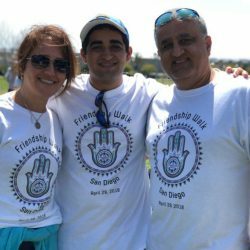 Contact Devorah@FriendshipCircleSD.org with any questions you may have. 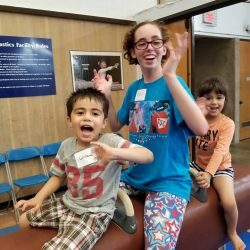 Created by teen leader and Chortek Award winner Chloe Dahan, Shooting Stars is a venue for kids and teens with special needs to come together and explore the world of performing arts including art & crafts, dance, music and theater fun! Our brand NEW yoga program! 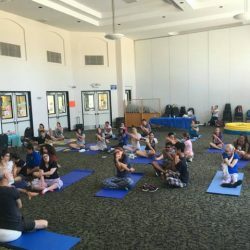 Relax, stretch, and gain skills together with friends and volunteers under the direction of licensed instructor Amy Nisen! Yoga mats provided, parents welcome to join their kids! 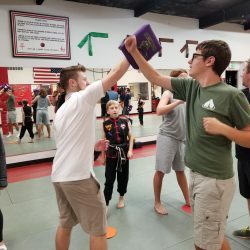 An exciting monthly club dedicated to self-defense, martial arts & active lifestyles for youth and teens. Created by a past Teen Leadership Board Vice President and JTI grant winner Josh Glasser. Dojo is great for those who like small groups with structure. 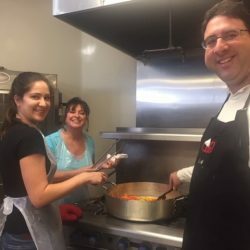 Vocational training for adults participants to learn work skills, discipline, and time management with emphasis on customer service and people skills. Our bounciest addition to monthly programming! Join FC in collaboration with UCSD for a fun, active class with college students, teens and youth! Active classes help boost strength, coordination, self-confidence and more. 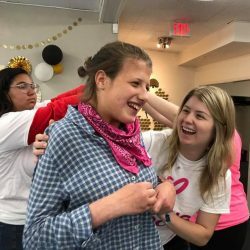 A monthly event planning club for teen leaders looking to create their own event, program or legacy in the community to benefit individuals with special needs. 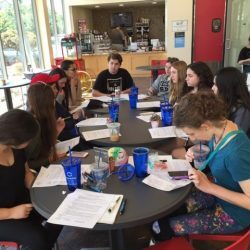 This elite group of teens are the lead volunteers at any event and often go on to win awards and scholarships for their projects. This 1-week summer program was completely conceived of and initiated by teen volunteers. Campers and counselors are paired one-on-one for the entire week of fun! Our campers go on field trips, enjoy classes taught by expert instructors, learn new skills and most importantly – make new friends! For our higher functioning teen friends we offer Junior Counselor programs to fit everyone’s needs. Contact us for more details. 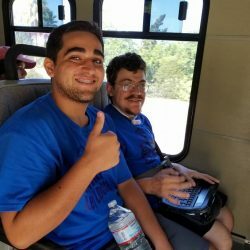 Schedule or attend a volunteer training & awareness workshop to learn more about what we do, how best to work with our participants and get to know other volunteers! It’s free to attend or to have us come to you, plus you get community service hours while you learn. Workshops last up to an hour and we can accommodate any number of students! Contact Maxime to schedule a free workshop for your school, organization or company. 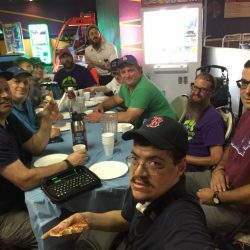 A monthly bowling league for friends to get together, have a meal, play ball and talk about life! Led by Rabbi Shuie and followed by an end of the year BBQ! 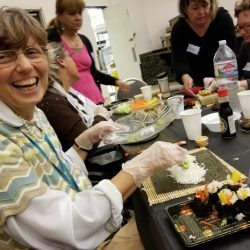 Women’s Circle provides a social opportunity while we work on healthy lifestyles, staying active with dance classes, cooking healthy meals and having fun with DIY crafts. Held at a private residence, we also often go to the salon to get our nails done! 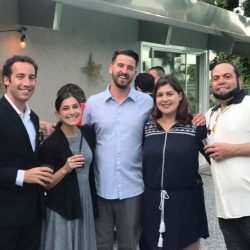 Our newer program, YAC is looking for more 21-30’s aged participants and volunteers to go taste beer at local breweries, join board game nights and have fun at wine mixers and community events together! Friendship Circle receives donated opportunities to share with our members such as tickets to J*Company’s youth theater musicals, Padres games, Legoland, Marvel Universe Live and much more! 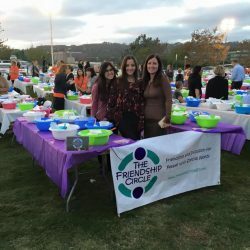 Being a part of FC gives you access to these amazing events for you and your family. We love to get out and explore our beautiful city! 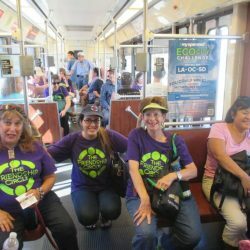 Come with us as we take a trolley to Seaport Village, have a picnic at the park, take a hike, or go to the Del Mar Fair! There is always something going on and you are invited! We keep you up to date on community wide events where our participants are accepted and welcomed with open arms. We make sure to be on site and to work with the coordinators to make sure the event is comfortable and suitable for our participants. 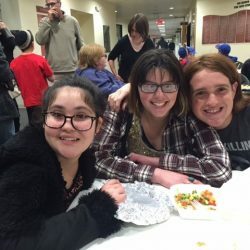 Friendship Circle loves to celebrate! Join us for incredible and affordable Jewish holiday festivities! 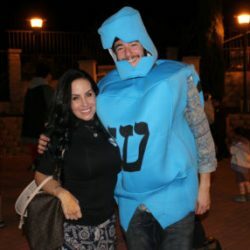 Get your costume ready for Purim, eat delicious donuts & latkes at Chanukah, enjoy a model seder Pesach and much more! We offer a large community celebration for all major holidays as well as adult celebrations for those interested in diving a little deeper into tradition. All religious backgrounds are welcome to attend! The awesome games, food and entertainment provided are meant to accommodate all levels and ages. 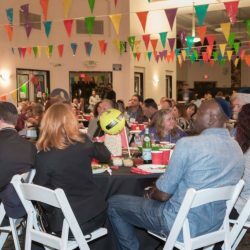 Every year we host a dinner and showcase celebration in honor of our volunteers, families and supporters. Have fun with us and watch the show while eating a yummy meal and seeing your friends! Our biggest event of the year! Walk with us to support our programs and raise awareness for individuals with special needs. Enjoy a fair with resources, games, bouncies and more followed by a beautiful 5K walk around the park. Family, friends and beyond are encouraged to participate or volunteer! We are here for you! We’ve been through it all and so have our amazing parents. Attending our events is a win win for you and for your kids. Parents get to hang out and socialize during programs or jump in and play with the kids. We frequently hold informational sessions with psychologists or other specialists – all free of course! 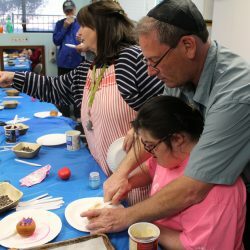 This program is similar to a “big-brother, big-sister” program, but for children with special needs. People with special needs frequently have challenges in social arenas and develop few friends. Further, their families are often isolated from their community because of the challenges involved with raising a child with special needs. 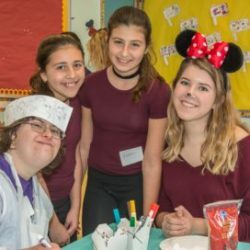 Through the F@H program, teenage volunteers visit children with special needs in their homes on a weekly basis, engaging them in a variety of activities based on the individual child’s preferences. The teens are there to provide friendship – not therapy – just friendship. 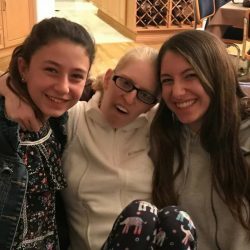 For the child with special needs, friendship is not easily attained and these visits provide a rare opportunity to connect with another person in a social context.